Bell, S. (1993). Elements of Visual Design in the Landscape. London: E & FN Spon. Colquhoun, A. (1991). ‘Composition versus the project’, in: idem, Modernity and the Classical Tradition. Architectural Essays, 1980-87. Cambridge: MIT Press. Cross, N. (2006). Designerly ways of knowing. London: Birkhauser. De Jong, T. (2006) Context Analysis. Delft University of Technology. Drummond, W.J. & French, S.P. (2008). ‘The future of GIS in planning. Converging technologies and diverging Interests’, Journal of the American Planning Association 74(2); 161-174. Evert, K.J. et al. (eds.) (2010). Encyclopedic Dictionary of Landscape and Urban Planning. London: Springer-Verlag. Gardner, H. (1999). Multiple Intelligences. The Theory in Practice. Basic Books. Göçmen, Z.A. & Ventura, S.J. (2010). ‘Barriers to GIS use in planning’, Journal of the American Planning Association 76(2); 172-183. Lukez, P. (2007). Suburban Transformations. Princeton Architectural Press. Marot, S. (1995). ‘The landscape as alternative’, in: K. Vandermarliere (ed.) Het Landschap / The Landscape. Four International Landscape Designers (pp 9-36). Antwerp: De Singel. Nijhuis, S. (2013). ‘Principles of landscape architecture’, in: E. Farina & S. Nijhuis (eds.) Flowscapes. Exploring landscape infrastructures (pp 52-61). Madrid: Mairea Libros Publishers. Nijhuis, S. (2014). ‘GIS-based landscape design research. Exploring aspects of visibility in landscape architectonic compositions’, in: D.J. Lee, E. Dias, & H. Scholten (eds.) Geodesign by Integrating Design and Geospatial Sciences (GeoJournal Library 111) (pp 193-217). Heidelberg: Springer verlag. Nijhuis, S. (2016). ‘GIS-toepassingen in onderzoek naar buitenplaatsenlandschappen’, Bulletin KNOB 3; 149-166. Steenbergen, C.M., Mihl H., Reh W. (2002). ‘Introduction; Design Research, Research by Design’, in: C.M. Steenbergen, et al. (eds.) Architectural design and composition (pp 12-25). Bussum: Thoth publishers. Steenbergen, C.M. & Reh, W. (2003). Architecture and landscape. The Design Experiment of the Great European Gardens and Landscapes. Basel, Boston, Berlin: Birkhäuser. Stiles, R. (1994). ‘Landscape theory: a missing link between landscape planning and landscape design?’, Landscape and Urban Planning 30; 139-149. Thompson, I. (2008). Ecology, Community and Delight. Sources of values in landscape architecture. London & New York: Taylor & Francis. Zonneveld, I.S. (1995). Land Ecology. An Introduction to Landscape Ecology as a base for Land Evaluation, Land Management and Conservation. Amsterdam: SPB Academic Publishers. NIJHUIS, Steffen. Applications of GIS in landscape design research. 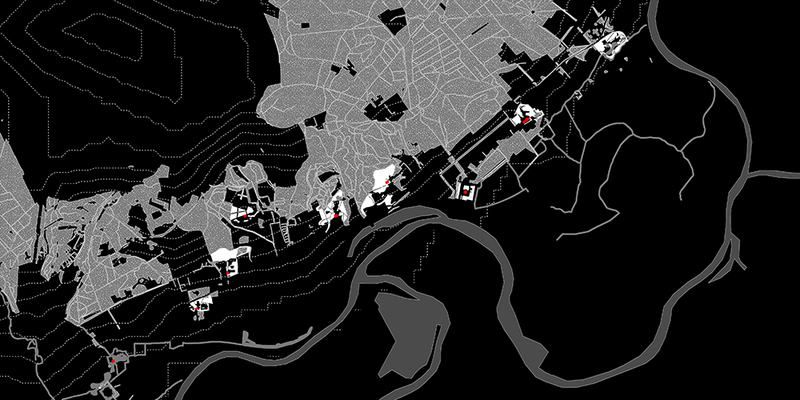 Research in Urbanism Series, [S.l. ], v. 4, p. 43-56, sep. 2016. ISSN 1879-8217. Available at: <https://journals.open.tudelft.nl/index.php/rius/article/view/1367>. Date accessed: 23 apr. 2019. doi: https://doi.org/10.7480/rius.4.1367.